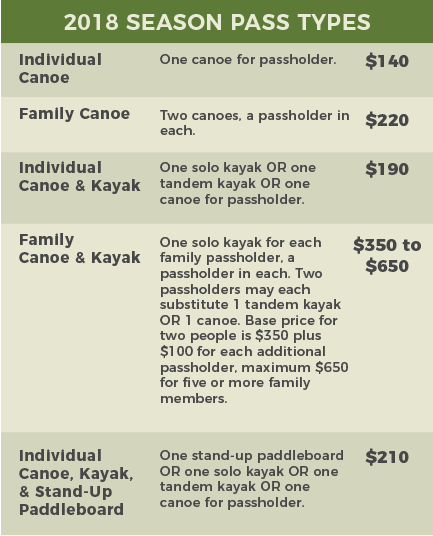 Rent quality Old Town canoes and kayaks and BIC stand up paddleboards on the beautiful, friendly Nashua River in West Groton, Massachusetts. Launch from our rental site and paddle for hours in either direction! 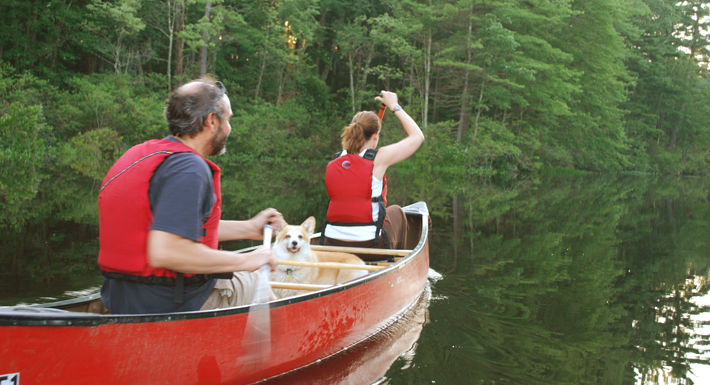 Our friendly rental staff will assist you with your boat, provide paddling and safety tips, give you an idea of what you might see on the river, and share the amazing story of the Nashua River's history. Have fun exploring the main channel of the Nashua, the smaller tributary of the Squannacook, and the pond-like ox bow of Dead River. Each season brings different experiences and sightings. 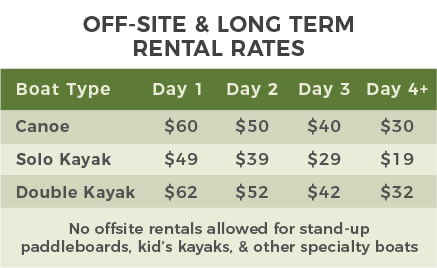 We offer discounted weekday rental rates, season passes, and group discounts. Paddles and life vests included for all ages. * Kid's Kayaks subject to availability. Liability Release Form must be signed by all participants. Minors (under 18 years) must have our liability release form signed by their parent. Person Flotation Device (lifejacket) MUST be worn at all times in boats. NO ALCOHOL or other substances which impair judgement. PUT-IN CHARGE: $7 for each private boat being launched from our site which is accompanying a rental. RESERVATIONS: Recommended for large groups. Not usually needed for individuals- just stop by! If you do reserve, there is a 3-hour minimum rental charge. 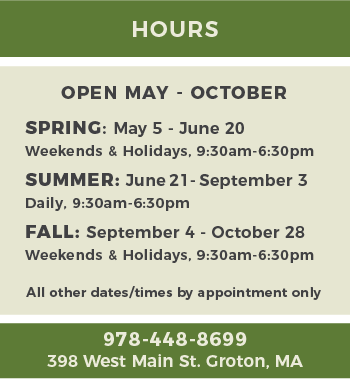 DISCOUNTS: 10% discount to Nashua River Watershed Association members, MTA teachers, and military. See below for GROUP DISCOUNTS. 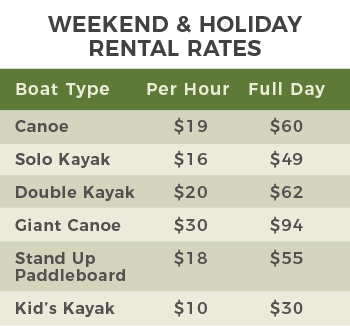 Ayer, Groton, Pepperell, Townsend: $14/first boat, $9 each additional boat, per trip. Lancaster, Still River: $22/first boat, $12 each additional boat, per trip. Liability release form must be signed by all participants. Minors (under 18 years) must have our liability release form signed by their parent. Please note that participants not present at time of pick-up must provide signed liability forms in advance. Security deposit will be required on all off-site rentals. Good for 2018 season only. Good for first day of long-term rental. 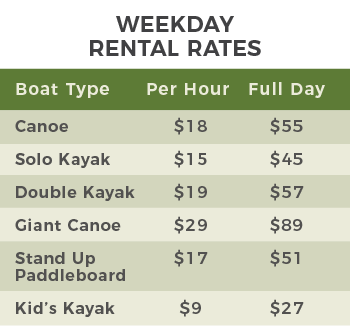 Additional days must be paid at long-term rental rate. Not applicable to XL Tripper or specialty boats. "FAMILY" includes individual plus spouse plus children up to age 24 living with parents. Passholders must bring season pass and present identification to rent boats. Liability Release forms must be signed at each rental. Use for off-site rentals permissible. GUESTS of Season Passholders renting boats receive 10% discount on rentals. Passholders receive a 10% discount on Nature Tours. Great for Company Outings, Clubs, Youth Programs, Reunions, Parties, and Day Trips with Friends and Family! An outing on the Nashua River is a perfect event for companies, groups and clubs. Paddling down a river brings people together in a new way. The Nashua is a friendly river, a fun and easy paddle for novices. Most group paddles are self-guided. We set you off off with maps, an overview talk about the Nashua River, including picnicking spots and some paddling and safety tips. If you prefer a guided tour, our qualified guide/naturalists can enrich your outing by sharing their experiences and knowledge of the places you'll explore as well as provide expertise in paddling and safety. Another option is to arrange a River Classroom® experience for your group, an educational program to teach your group about the river ecosystem. GROUP DISCOUNTS: 10% discount when renting 6 or more boats. SPECIAL GROUP DISCOUNTS for CAMPS, SCOUTS, AND SCHOOLS: Call for details.